PASCO, Wash. — Washington state’s 2013 vintage is in the early stages, yet already it is giving the wine industry a wild ride. 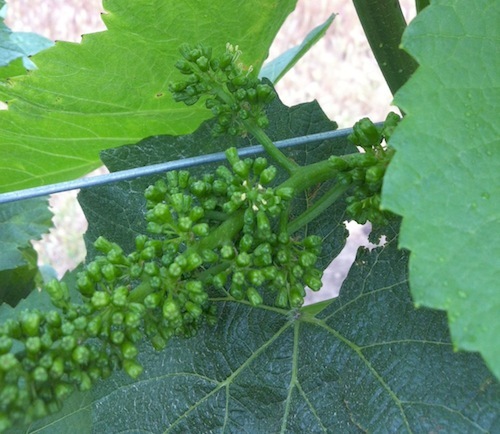 In early April, grape growers across the Columbia Valley were reporting early bud break – when tiny leaves emerge from buds formed the prior year. Now, Great Northwest Wine has heard of at least one example of bloom taking place in Washington – a full two weeks earlier than normal. Bloom is when flowers appear on tiny clusters. 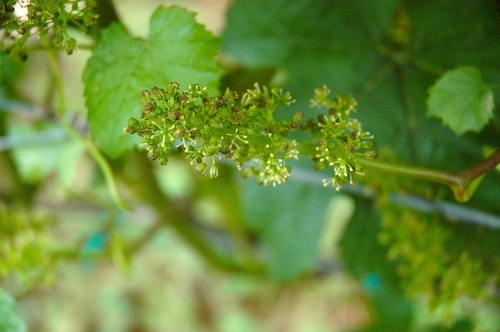 Wine grapes are self-pollinating, so this is when fruit can form and begin to grow. In those two years, bud break and bloom were a full two weeks late and set the tone for a nerve-wracking vintage during which grape growers and winemakers never were quite sure if the fruit would ripen. Waliser said the area of bloom at Sagemoor is in a Chardonnay block that was first to have bud break in early April. That, he said, puts Sagemoor a month ahead of the notoriously cool 2010 and 2011 vintages. He likened this spring to 2003, a historically hot year. He said the past two weeks of warm temperatures in the 80s and 90s have pushed growth significantly, with 2-foot shoots at Sagemoor. Jarrod Boyle, owner of Alexandria Nicole Cellars in Prosser and Destiny Ridge Vineyard in the southern Horse Heaven Hills, could not be happier, especially after battling frost for much of April. Waliser, who also grows cherries, noticed a bit of color on that fruit already. He said that in 2003, he picked Chelan cherries on May 31 – much earlier than normal. He noted that a warm year does not guarantee a great vintage, but it does offer growers and winemakers some advantages. Corliss agreed, adding that the only issue he sees is growers scrambling a bit to reschedule some of the work they didn’t expect to tackle for a few more weeks. When told there was bloom already, he was surprised. Corliss and Waliser both said Mother Nature is still in charge. “We could cool off for two weeks and be back to normal,” Waliser said.